President Barack Obama and First Lady Michelle Obama recently took action to get people more aware of mental health issues, and getting people the help they need. Recently President Obama signed the Clay Hunt SAVE ACT. SAVE stands for: Suicide Prevention for American Veterans. Clay Hunt, for which the bill is named, served his country well. He was diagnosed with PTSD and reached out the VA for help. He struggled to get the right medication and the right resources and through the strenuous process, ended up committing suicide. His family was grief stricken and decided to go to Congress and ask for more help for veterans. Their courage helped form this new bill which is meant to help veterans when they return home to get more support, peer support, more access to therapy, and more mental health care when they need it. The SAVE ACT is important in helping end the stigma around PTSD and getting veterans help when they need it. As veterans come back from the war and try to transition into civilian society, the transition can be hard and sometimes unbearable. The men and women who go to war to help protect our country are trained to withstand a different culture then what we experience everyday here in the US. One of the most powerful scenes in “The Hurt Locker” demonstrates this struggle. The “Warrior” is home on leave and is asked to get cereal at the store. He stares at the row of cereal boxes that seem endless. How can this decision be important when he was busy risking his life on a daily basis detonating bombs? Once they end their tour of duty, how do they “fit” back into this society. The day-to-day challenges are different. On top of that, if they come back traumatized it is even harder to adjust. A good example of PTSD was demonstrated in the movie “American Sniper”. Chris Kyle comes back from tour and he is hyper alert to sounds and sights around him. He sees a dog playing with children but sees the dog as too aggressive, he is at an auto shop getting his car fixed and the drill sound startles him, he’s staring at a blank tv screen but is seeing flashback from the war. PTSD is sometimes known as the silent problem. It’s easier sometimes to feel sorry for someone who has cancer then someone who has PTSD. You can see in the movie that he gets help through a therapist helping Chris Kyle use his skills of taking care of others to give him a new purpose in his civilian life by helping other veterans. As PTSD comes more visible through media, movies, the president, we can start helping more and more veterans so that they don’t have to suffer so much upon returning. One thing that can really help veterans is EMDR Therapy. One of my favoriate books to recommend to EMDR Therapists who work with veterans is: Treating Traumatic Stress Injuries in Military Personnel: An EMDR Practioner’s Guide by Russell and Figley. This books is step by step guide on how to work with Warriors who are traumatized. Along with the President working to end the stigma around PTSD and getting warriors help, First Lady Michelle Obama recently spoke at a mental health summit standing behind a new initiative called ChangeDirection.org – an initiative to encourage Americans to learn more about mental health, emotional distress and getting help. The First Lady shared how more than 40 million Americans experience a diagnosable mental health condition – like depression or anxiety – and that there should be no stigma around mental health care. Mental health issues affect about 1 in every 5 adults and it’s time for the stigma of reaching out for help to go away. ChangeDirections.org was created after the shooting at Sandy Hook Elementary School. The White House National Conference on Mental Health in 2013 began this discussion. Participants in the campaign to ChangeDirection.org include the American Foundation for Suicide Prevention, America’s Promise Alliance, Booz Allen Hamilton, Aetna, Change.org, Justice for Vets and the National Council for Behavioral Health. The #ChangeMentalHealth hashtag was also created to encourage discussion about mental health on social media. Both President and the First Lady are helping to end the stigma around mental health by speaking about these issues publicly to the nation. As people become more aware of mental distress and trauma in their lives, we hope that they will seek out EMDR Therapy as a possible option. EMDR Therapy is becoming more mainstream since it is a researched based therapy, and it now easier to find qualified therapists around the United States who offer this work. 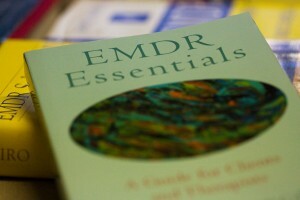 EMDR Therapy has helped millions of people heal from PTSD as well as other life disturbing events. If your are interested in learning more about EMDR Therapy, we recommend reviewing some the EMDR Therapy Tools and Resources on our website. If you are interested in speaking with an EMDR Therapist, please search our EMDR Therapist Directory.